I DO WHAT I WANT.... 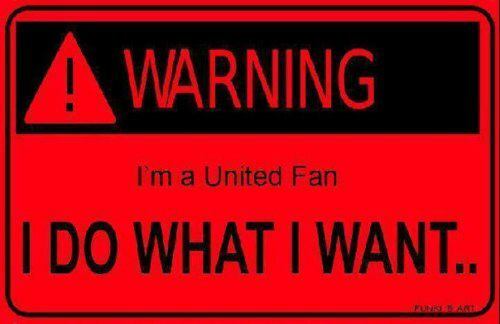 I DO WHAT I WANT.... Wallpaper and background images in the Manchester United club tagged: manchester united fan warning. This Manchester United photo might contain ninguna zona de estacionamiento, sin zona de estacionamiento, and no hay zona de aparcamiento.